Kc Paillard, born in 1977 in Paris (France), grown up in Stockholm (Sweden), is a Franco-Swedish artist who lives and works between Nice and Stockholm. She paints with dry pastel on canvas. She draws her inspiration from her legacy, double culture, Art History, the beauty of nature, the northern and southern light and skies, as well as her emotions and dreams. 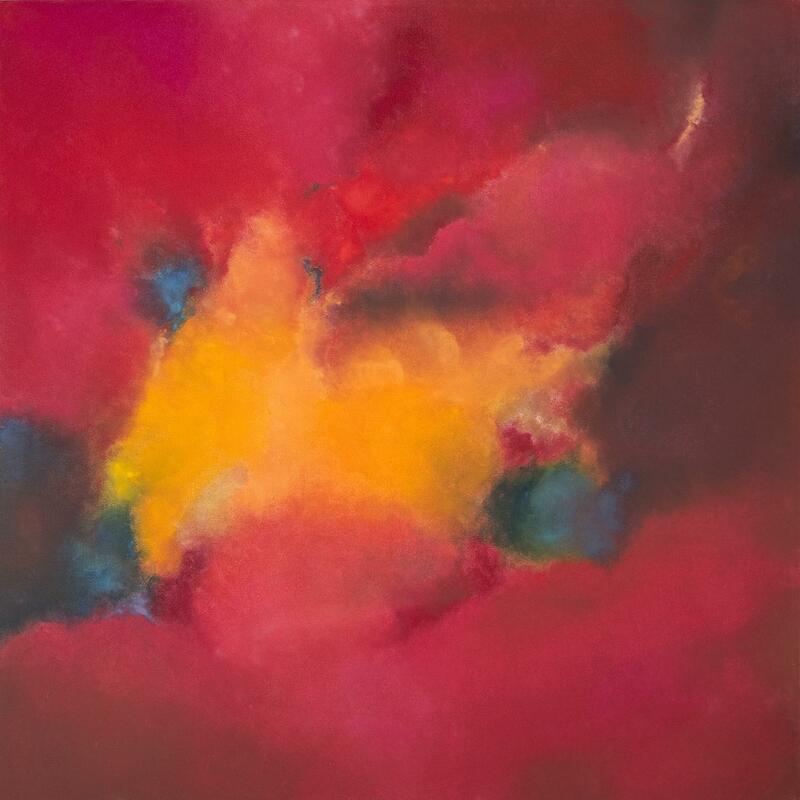 Her pictural style is a sensitive and original combination, fluctuating between Abstract Expressionism and Color Field Painting (Helen Frankenthaler, Rothko, Emil Nolde, Degas). Her abstract paintings are a personal expression of her fascination for colours and forms, the northern light and the southern brightness, the interstices of life. Rhythm, harmony and textures are important in the paintings that she makes. Every painting starts with a picture in her mind, inspired by a text, a poem, some lyrics from a song or an opera, a dream she had, her fascination for other forms of art like ballet, the sky and its unique and ever changing design. She puts on some music, often her brother’s and the colours pop up. Every note, every word, every thought is a colour. She uses dry pastel with pure pigments, that she crushes, smashes and smears on the canvas, with her fingers and hands, kneeling on the floor, feeling the textures: it is a very physical way of painting. 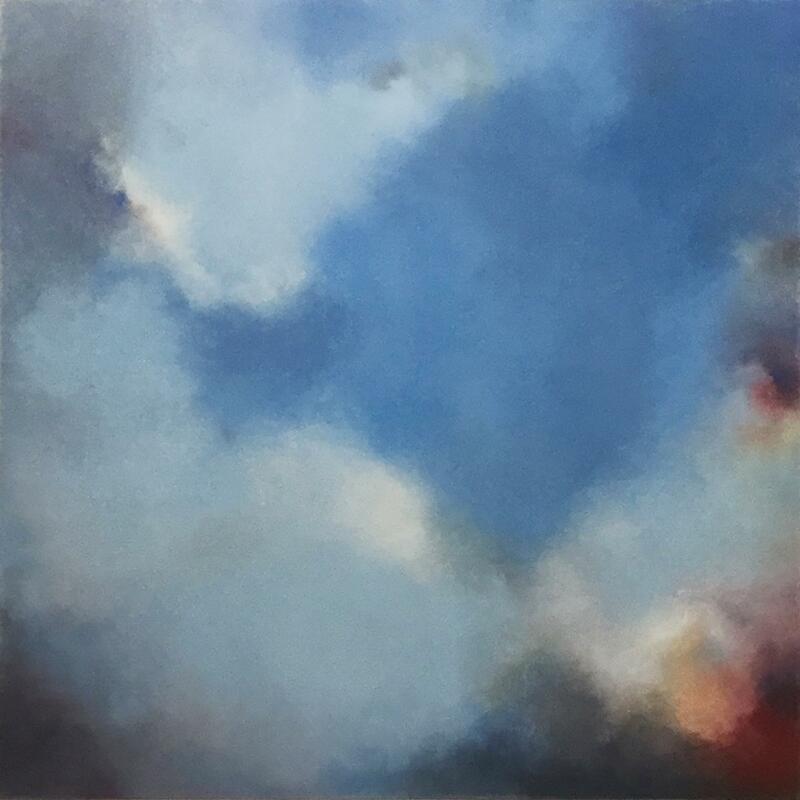 The multiple layers create new combinations and collisions, the light appears or disappears like a cloudy sky, a dream landscape, an ethereal world. The paintings include fragments from the past, her dreams and her imagination mixed with images from her life, translated from her emotions. She uses fragments of the past and the present. The paintings have an old and well known imagery, sometimes they are organic, trying to get into the deepness of the soul, sometimes they are spiritual, celestial, dreamful and romantic. She creates images that question the spectator and invite him to take part of an immaterial world, filled with serenity, existentialism and poetry. Louise Bourgeois once said « Colour is stronger than language. It’s a subliminal communication. » Impressionist theory, the philosophy of Josef Albers, the artists who worked under the name of Color Field Painting, the contemporary metaphysics of Olafur Eliasson, all were passionate about particular shades. Ever since I was a child, I have always seen colours in everything. It is my way to translate what I hear, read, taste, feel, smell or see. In every corner of my life there is a colour or a nuance. Colours are my way to understand the world. My abstract paintings are a personal expression of my fascination for colours and forms, the northern light and the southern brightness, the interstices of life, the space that intervenes between things, especially between closely spaced things. The paintings – only made of pigments from the dry pastels that I crush, smash and smear on the canvas, in order for each painting to have a very profound and captivating presence – include fragments from the past, my dreams and my imagination mixed with images from my life, translated from my emotions. Like Degas’ late works in pastel, my pastelworks are more painted than drawn : I put coat after coat of colored chalk on the canvas, moistening them and piling up one surface on another until these works take on something of the quality of miniature frescoes. Degas went back to the deep, sonorous colors of the Venetians, I try to bring up the best of every colour, its deepness, vibrations, force and sensibility. I create images that question the spectator and invite him to take part of an immaterial world, filled with serenity, existentialism and poetry. I love the abstract for its lack of representation and urge my audience to seek clarity and personal spirituality by projecting their own internal ideas onto my canvas. The goal is to create a compelling work of abstract art by which the viewer feels endlessly absorbed in order to generate a meaningful dialogue. I think that there are endless variations of tone and proportion, resulting in different moods and effects. I want the paintings to be highly expressive, to glow from within, conveying strong emotional content. Like Rothko, I am moved by color relationships, but I don’t want my pictures appreciated solely for their spectral qualities. He said, “If you are only moved by color relationships, then you miss the point. I’m interested in expressing the big emotions – tragedy, ecstasy, doom.” Aiming to envelop the viewer in only one particular colour, applied on large-sized canvases, the expected effect of the paintings is an intense emotion or ethereality.